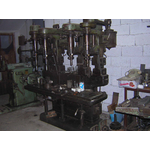 Kent Machine Trade and Co.
Kent Machine Trade and Co. has been active in supplying ship material and chandler services to its customers since 2000. 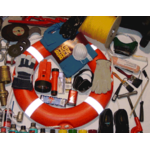 The company offers ship supplies in a broad perspective ranging from safety equipment to all other technical materials. Kent Machine is using the state of art technology for the supply chain of its activities and holds a large stock for the supplies it offers to its customer. Hence declining a customer's request due to the shortage of supplies will not be a case in the company. Moreover the company directly works with the manufacturers of the supplies and able to offer competitive prices to its customers. Kent Machine Trade and Co is willing to expand its service range by adding more innovative and state of art ship supplies to its product catalog. Fort this reason the company seeks manufacturers of all kinds of ship materials for trade intermediary agreements. Kent Machine Trade and Co is active in ship repairing and maintenance since 1976. The company has built a big network of Turkish ship owners and trade agencies. The company have met all the requirements of many local and foreign companies dealing in the international marine field, and have performed obligations to the customer's full satisfaction without giving any compensation from the quality. The company can perform any repairs in the spot or in the own workshop , in the shortest time possible with their qualified and experienced team. Kent Machine Trade and Co is looking for long term repair and maintenance agreements with the foreign ship operators and trade agencies that work in Mediterranean region. Moreover the company is open for joint venture agreements with the foreign ship yards or investors willing to enter in Turkish ship building market.